The volume brings together papers presented at a Seminar organized by the Indian Institute of Advanced Study in late 1993. Participants in the Seminar included Historians, Archaeologists, Anthropologists, sociologists and economists. The papers questions many popular nations about the history of social fromations in India. 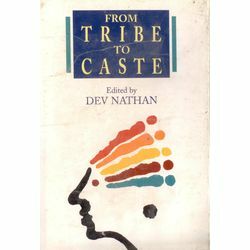 Since "Tribe" and "Caste" constitute two of the basic categories in terms of which Indian society is sought to be understood, The contemporary relevence - both of this volume will be quite considerable. Number Of Pages : vi+462 pp.